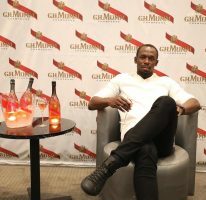 24th January 2019 – Today in South Africa saw the launch of Usain’s new signature champagne in association with his long time champagne partner Mumm. The champagne called ‘Mumm Olympe Rosé’ was created working closely with Usain to reflect his personality – his preference for sweet champagne, his willingness to take on new challenges and his passion for celebration. 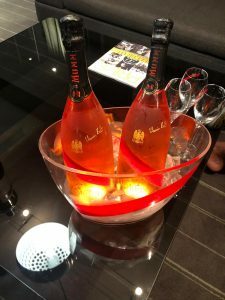 Mumm Olympe Rosé demonstrates once again the daring spirit of Maison Mumm when it comes to exploring new territories in the domain of champagne with the addition of a liqueur de dosage aged in cognac barrels. By design: Created by the renowned English designer Ross Lovegrove for Mumm Grand Cordon, this bottle is a true technical feat. It shakes up the codes of the champagne world: it’s slender neck lends to the aromatic development of the wine, and its harmonious lines are accentuated by the iconic red cord set directly in the glass. By elaboration:After two years of aging Mumm OlympeRosé in the cellars, a wine aged in cognac barrels is added – a method that proves Maison Mumm’s ability to defy convention and innovate. These qualities have been part of its DNA since the House’s creation. Mumm Olympe Rosé is characterized by the intensity of Pinot Noir, the signature grape variety of Maison Mumm. The Pinot Noir is selected from some of the most prestigious crus in Champagne, and their intensity dominates the fruity aromas of Pinot Meunier and the delicate nature of Chardonnay. Notes of vanilla and caramel are also present. This blend produces a wine with a stand-out personality. Lively and fresh, it is ideal for celebrations. The subtle gourmet notes are also particularly appreciated by Bolt. 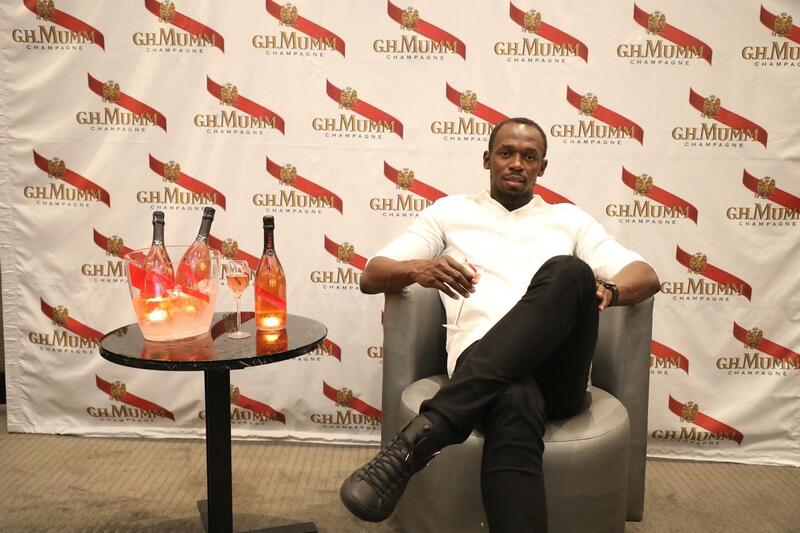 With Bolt’s support, Mumm Olympe Rosé is on its way to becoming emblematic. The name of the fastest man on the planet is inscribed in gold letters on the glass. On the neck collar, the initials O.R., denoting the name of the cuvée, also refer to the French word for gold. 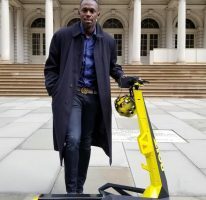 It is a way of evoking Bolt’s successes, his Olympic medals and the ecstatic moments on which he celebrates his victories. With this new champagne, Maison Mumm invites the most daring pioneers of the night to try an original tasting experience called #OlympeMix: a surprising cocktail merging Mumm OlympeRosé and Martell Blue Swift, a VSOP cognac aged in red barrels, with sweet notes of vanilla. The two were made to meet. “I’m very proud to have been part of creating Mumm OlympeRosé. It’s a sweet champagne that defies convention and breaks new ground – two things that Maison Mumm and myself have in common. 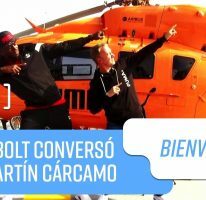 I’ve always been associated with celebrations and this one is on its way to become iconic!” Said Bolt.